When we think about young people dealing drugs, we tend to picture it happening on urban streets, in disadvantaged, crime-ridden neighborhoods. But drugs are used everywhere—even in upscale suburbs and top-tier high schools—and teenage users in the suburbs tend to buy drugs from their peers, dealers who have their own culture and code, distinct from their urban counterparts. 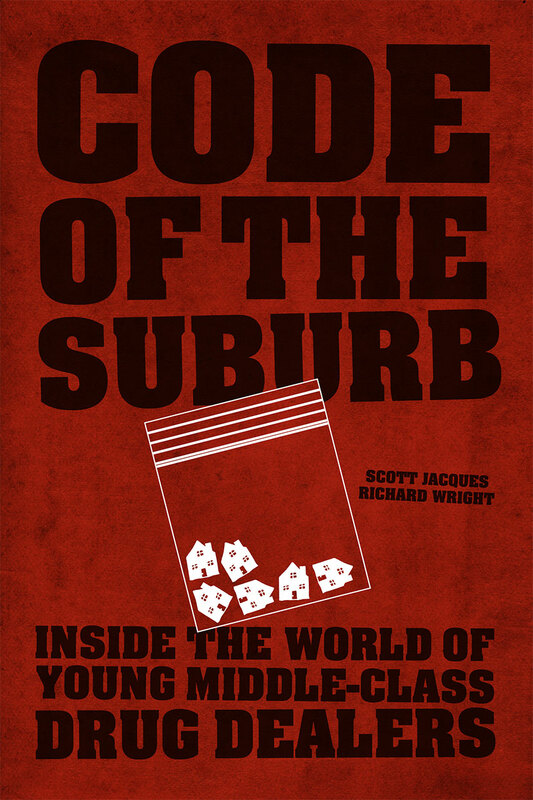 In Code of the Suburb, Scott Jacques and Richard Wright offer a fascinating ethnography of the culture of suburban drug dealers. Drawing on fieldwork among teens in a wealthy suburb of Atlanta, they carefully parse the complicated code that governs relationships among buyers, sellers, police, and other suburbanites. That code differs from the one followed by urban drug dealers in one crucial respect: whereas urban drug dealers see violent vengeance as crucial to status and security, the opposite is true for their suburban counterparts. As Jacques and Wright show, suburban drug dealers accord status to deliberate avoidance of conflict, which helps keep their drug markets more peaceful—and, consequently, less likely to be noticed by law enforcement. Offering new insight into both the little-studied area of suburban drug dealing, and, by extension, the more familiar urban variety, Code of the Suburb will be of interest to scholars and policy makers alike.